Kohl Tournament at Suffern (MW, PJ) is now scheduled for Sunday 9:30 AM start. Gene Brigham Memorial Tournament at Minisink Valley (MV, RV, Middletown, Onteora, Goshen, and Wallkill) is now scheduled for Sunday 9:00 AM start. Edmont Tournament (Monticello, Tuxedo) is now scheduled for Sunday. Lansingburgh Tournament (NFA) is still on for Sat./Sun. I have been getting several requests for information about Youth Wrestling Tournaments. Unfortunately, there does not seem to be too many local events schedued. What I’ve decided to do, however, is provide some information about tournaments that are within a few hours of Section 9. Hopefully, in time, we will see an increase in local youth tournaments. For the time being, you may want to consider entering your future Section 9 wrestlers in tournaments in Section 1 (Dutchess, Putnam, Rockland and Westchester Counties), NJ, PA, Long Island, Sections 3 and 4 (Central NY), and Section 2 (Albany area). I hope this is of some help to those of you who are interested, and please do not hesitate in sending me any additional information regarding youth wrestling. 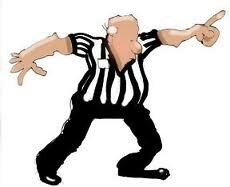 Section 9 Refs Selected to Work State Tournament! Congratulations to Section 9 referees Wayne Carroll, Greg Tavano, and Gunnar DeJong. All three of these veteran officials have been selected to work the New York State Wrestling Championship Tournament in February. Jeff Traver, who works both Section 1 and Section 9 matches, has been selected to work the state tournament as well. Traver, however, will be representing Section 1. Congratulations and good luck to all four of these outstanding officials! 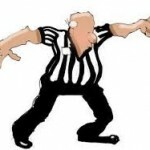 Posted on January 19, 2012 Author Mike CareyCategories UncategorizedLeave a comment on Section 9 Refs Selected to Work State Tournament! Congratulations to Port Jervis graduate Joe Zitone and Highland graduate Vinny Barberfor finshing 1st and 2nd, respectively, at the Will Abele Invitational hosted by Ursinus. The two heaveyweight grapplers never actually wrestled as Barber had to medically forfeit out of tournament due to an injury sustained during his semifinal victory. Click here for complete brackets. Great job guys! Section 9 Rankings # 7; Busy Week Ahead Could Shake Things Up! The Eastern States Classic has come and gone and our sectional tournaments are less than a month away. Now is the time when Section 9 wrestlers are making their final preparations for the big prize….a ticket to the New York State Wrestling Championships. Posted on January 16, 2012 January 17, 2012 Author Mike CareyCategories S9 Individual RankingsTags high school wrestling, section 9 rankings, section 9 wrestling, wrestlingLeave a comment on Section 9 Rankings # 7; Busy Week Ahead Could Shake Things Up!